I´m trying to be the person that I want to be, that I have the potential to be. I try to mold myself, create myself like a sculptor. Some parts are painful to chop away, but nethertheless those are things I eventually have to let go of. Things like regret, self-pity and bad traits. Some positive traits are hard to form as well, you feel like you can only do so much with the material that you´ve been given. I also think about the priestess that I would like to be. My first teacher of Wicca once said “I think you´re going to be a powerful priestess.” I´m not telling this to show off in any way. I don´t even know exactly what he meant by it, and it´s not what I would call myself at this stage. Other than that: power without wisdom, humility and temperance is dangerous. I would feel so ashamed if I ever got caught on an ego trip! I´m not striving to be some sort of fantasy priestess, perfect in every way. I know I´m human and I´ve found fantastic pagan role models both in real life and online. People who teach out of love, wonder and awe, who are not afraid to problematize, question or challenge. Who meet others with respect, curiosity and encouragement. I would also like to embody that someday. 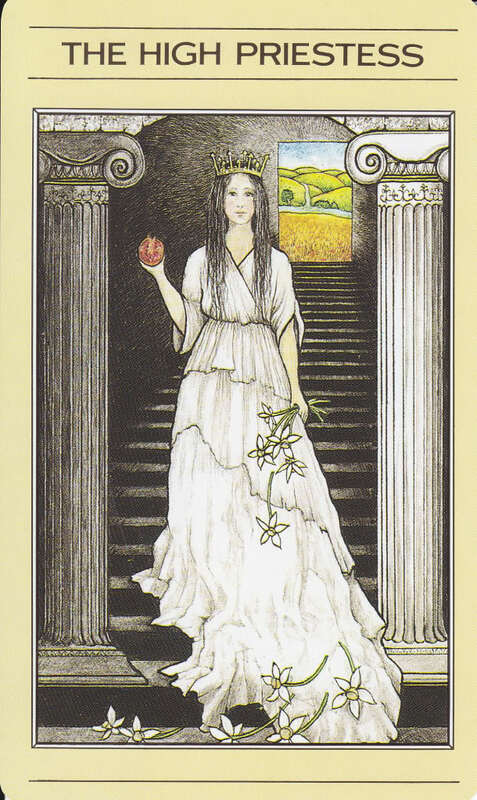 Like Kore/Persephone, I have to find my own way to growth, maturity, wisdom and power.